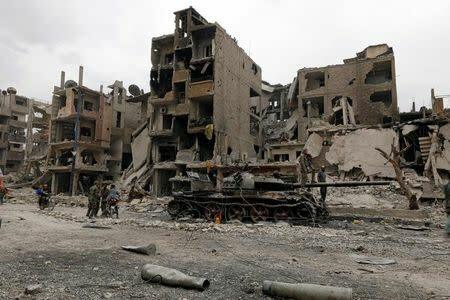 Syrian state media said militants had escalated attacks on civilians in the area which is part of a "de-escalation" zone agreed by the United States and Russia last year with the aim of containing the conflict in the southwest. An offensive in the southwest would risk a major escalation of the seven-year-old war. The area is of strategic importance to Israel, which is deeply alarmed by Iranian influence in Syria. Washington has warned it will take "firm and appropriate measures" in response to violations of the "de-escalation" deal. Elite government troops known as the "Tiger" force, which have spearheaded a campaign that recaptured the Eastern Ghouta region near Damascus, have also been mobilised for the attack. The pro-Damascus newspaper al-Watan said there were "growing indications about preparations for the start of a wide military operation to liberate" the south. But he also said there had been no results yet and blamed "Israeli and American interference". He said the territory would be recovered by force if necessary. 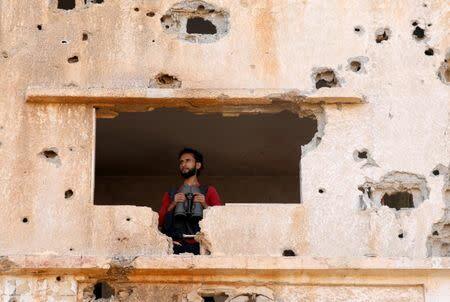 Rebels say elite army troops backed by Iranian-backed local militias have been escalating hit and run attacks on their posts in a so-called "Triangle of Death", which connects southern Damascus countryside with Deraa and Quneitra provinces. "They are moving more reinforcements and there have been several infiltration attempts which we have so far repelled," said Abu Ayham, a rebel commander in the Salah al Din brigades operating in Quneitra.